Is too much emphasis placed on low and high achieving students? 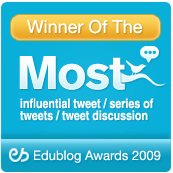 Yesterday’s first #edchat session (1800 CET, 12PM EDT) turned out to be a much better experience for me than the previous ones – maybe because what we discussed really touches upon the heart of what educators are doing every day, willing or not. The way we deal with our ideals, curricula, prescribed and self-developed forms of assessment, and of course our own power and influence in the classroom, all this significantly determines our professional aim, and our contribution to our learners’ lives and development. Following the first part of the discussion was especially fascinating for me because – teaching at a German Secondary School – my conception of “low achieving” must differ from the one of those teaching in countries that care not to generally make the first four years of school the basis of a young person’s long-term career chances (i.e. the rest of the world). Consequently, the controversy over labeling students “low/middle/high achievers” – the first major theme of yesterday’s #edchat – struck a special note as in many contributions political, ethical and anthropological aspects mixed with brief reflections on the (sometimes all-too-careless) ease of seemingly simple and superficial everyday decisions and assessments that serve to establish how “well” students meet their teachers’ (and their own) expectations. All of this comes together in the vision we share of what we are aiming at, and of course in our understanding of ourselves as professional instructors, pedagogues and partners in learning. Interestingly, some edchatters seem to show great reservation towards labeling students at all, whereas others state assessment is paramount to finding out how to let learners shine, respectively how to detect and develop their talents as well as possible in the face of other classroom requirements. Both defining terms like “labeling” and “assess” and explaining routines and strategies entailed in flexible and learner-friendly ways helped clearing inevitable misunderstanding in many dialogues and trialogues that ensued in this second major part of our discussion. Many participants feel very strongly about this theme, and, to my mind, especially this part revealed the weakness of the 140 characters conversational format #edchat is currently taking. A Wiki- or Wave-like format may have encouraged a calmer communication atmosphere and an even more satisfying exchange of experiences. Although classes are more homogenous than elsewhere, even at a German “Gymnasium”, i.e. in a terminally selective educational system there are also “low achieving” students that require much more attention and supervision than others. Therefore, my initial answer to the session’s main question was “Yes, and how could it be otherwise?”. Yesterday’s session, however, also served as a treasure chest of ideas and concepts facilitating ways of teaching to the advantage of all students, not only those easily passing or terribly failing a more or less oblique-angled framework of objectives. To name but a few of those ways that triggered discussion, there are differentiation, “feedforward”, collaboration, portfolios, critical thinking, blogging, ULD and many more (see “Part 3” comments and link sections for more). All in all, this #edchat provided a perfect mix of everything that makes it so valuable: expertise, criticism, commitment, anger, introspection, idealism, frustration, creativity, dilemma, hope, ideas and a refreshing portion of humour in countless contributions. Is it fair to label students? What is our assessment’s objective? How can we motivate all learners? There was so much wisdom and wit in this #edchat session! a) Part 1: Is it fair to label students? @paulawhite – We’re not neglecting teaching middle children – we’re neglecting teaching ALL children well. @sguditus – It’s easy to forget that when we teach to a particular niche that usually those techniques are good for ALL learners. @theprofspage – Middle kids are not failing but not being challenged. Students with Bs or Cs. No discipline problems. @paulawhite – children have passions – we need to find those and allow ALL students to use their strengths. @discomfortzone – Is the current curriculum the reason why we put people on a scale from low to high achievers? Who is it we compare the learners to? @rliberni – Does the drive for tangible results stop us seeing students/children as individuals? @davidwees – I hate thinking of kids as being “low”, “middle” or “high”. Kids will meet expectations. @flourishingkids – We need to help kids discover own passions 4 learning & get them out of thinking it only occurs at school. @davidwees – Would you want the teacher of your kid to tell you that your kid is “just average”? Are they average to you? @flourishingkids – One problem is that kids often learn at own pace/ timetables. School is rigid. Kids are, flexible and fluid. @Room5Friends – @4thGrdTeach Exactly my point. No matter how you “rank” them, it’s subjective, so why rank them? Why label them? @discomfortzone – In Germany we put low achiv. into “Hauptschule”; middle into “Realschule” and high into “Gymnasium” after FOUR yrs of elem. SAD. @malcolmbellamy – We need to allow children the freedom to learn not the straightjacket of setting by our expectations. @suedensmore: Why do we have to rank them at all? Shouldn’t properly designed rubrics help prevent ranking? @findingdulcinea – Labeling is convenient for schools/teachers, harmful to kids. RT @EricBurgess Labeling kids is destructive, I think. b) Part 2: What is our assessment’s objective? @davidwees – All students deserve the opportunity to demonstrate what they KNOW, instead of what they do NOT know. @ColinTGraham – I also feel a great many ‘results’ are normalized, statistically, so 60% always get a B/C, 5% A+ etc. Rather than having absolutes. @theprofspage – The truth is we need to measure kids based on their individual improvements and achievements. @davidwees – Grades are not meant to assess what kids know, they are meant to show that they know MORE than someone else. @sguditus – Grades: should they be a reflection of exceptional output or exceptional growth? @teachingwthsoul – Communication of progress is key! RT @4thGrdTeach: @gericoats Agreed, all parents deserve to know how their kid is doing truthfully. @baldy7 – If we individualize and customize, why does it matter whether a student is “low” or “high”? @davidwees – Let’s grade teachers like we grade students. We’ll call it “performance based pay.” Teachers will love it! @davidwees – The objective of grading should be to demonstrate kids competencies not their relative weaknesses. @baldy7 – The problem with this whole discussion is that our labels are based on arbitrary, meaningless assessments. @theprofspage – @suedensmore How do you measure mastery? @4thGrdTeach – Grading should be used as a map for future learning not as a map for past failures. @mrdfleming – @davidwees but doesn’t knowing their weaknesses along with competencies help us to teach? @davidwees – A number based grading system leads to ranking students, which leads to discussion of ability instead of successes. @davidwees – @mrdfleming Yeah exactly. Let’s measure students against themselves using rubrics or similar system. @paulawhite – @gericoats assessment is absolutely crucial to know what a kid needs. @discomfortzone – We also need to remember to assess properly! Authentic assessment, not multiple choice exams!! Then we get to know students. @davidwees – @celfoster We use the MYP grading system for 6-10, which (to me) closely resembles mastery style assessment. c) Part 3: How can we motivate all learners? @sguditus – We forget that middle kids – in whatever sense – still improve and grow. We need to celebrate mini-benchmarks with all kids. @discomfortzone – @BrandiJClark Agreed! Open learning, rotations, inquiry, transdisciplinary learning (IBPYP). Developmental scope and seq., too. @4thGrdTeach – If we set up support in our room and teach students to help each other we will see the labels blur. @flourishingkids – Cooperative learning & shifting roles in projects helps all learners grow when done right. Kids learn 2 appreciate each other. @sguditus – We need to individualize student goals to make learning and expectations relevant and authentic. @4thGrdTeach – To increase student engagement you must know your student, the way they learn and what their strengths are. @sguditus – Schools today do not systemically provide forums for students to reflect on learning, revamp strategies, and celebrate victories. @stevebarkley – @averyteach I use this thought: Effort times Ability focused on a Manageable Task equals Success. @crystalmgrand – @MissCheska I’ve found student blogging is effective b/c they can share their thoughts to the public and receive feedback. @4thGrdTeach – So is the answer differentiation as always? @2footgiraffe – It’s been said many times today. It is all about passions. If they can learn by their skills and passion potential is endless. @BrandiJClark: Schools are operating with 21st Century tools, 21st century kids, 20th century content in 19th century classrooms. @averyteach – Differentiation helps with individualization AND can allow students to steer their own learning – doesn’t have to be teacher driven. @2footgiraffe – How do we blend passion and state curriculum? @baldy7 – If school is meaningless and irrelevant, why should any kid be a high achieving student? @MrTRice_Science – ePortfolios are a great way for kids to demonstrate meeting their learning goals. @rliberni – What does ‘gifted’ mean? All kids have talents we just need to find them. @averyteach – High expectations with differentiation should engage all students-the other key is having strong relationships w/students! @STEDISub – What do you think would happen if we treated all students like they were exceptional learners? Would they all become exceptional? @suedensmore – We need to double our teaching staffs and half the class sizes. Would likely solve much of the problem. Haha. @sguditus – @averyteach Some teachers feel that time constraints prevent proper differentiation. Is embedded collaboration/PLCs the answer? @suedensmore – Kids tend to rise to the expectations we have for them if we are consistent and positive about them. At least in my experience. @miltrehberg – @sguditus We need to teach more meta cognition, give students the opportunity to reflect on their learning , try many strategies. @4thGrdTeach – Doesn’t differentiation seem to be the buzzword nowadays? @flourishingkids – Raising the bar 4 all kids&getting them excited about passions/interests will lead to growth for all. We can do this at earlier age. @sguditus: We need educators to be honest with themselves about what’s working and what isn’t – culture of trust is a necessity. @smitha834 – @ColinTGraham I see blogs as the portfolios of the 21st century; personal and portable. @plnaugle – We labeled students on brink of next achievement level as ‘bumpables” and then worked to bump them up. @2footgiraffe – @rliberni I hope to do videos, posters, podcasts, sculptures, books, and many other projects this year with that purpose in mind. @teachingwthsoul – Such a key ingredient!~>RT @EducateGlobally: Remember: You never stop learning. Especially when you’re teaching. 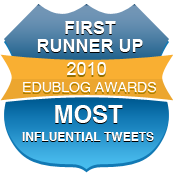 @onewheeljoe – Rubrics can work if they trend toward descriptive rather than evaluative. @EducateGlobally – @paulawhite @raysadad @BrandiJClark Let them see the world. Digitally, physically, emotionally. 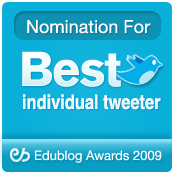 @MissCheska – @rliberni Choice is very empowering for students! @paulawhite – 5 levels of giftedness (http://www.educationaloptions.com/resources/GiftedorHighlyGifted.htm) Schools don’t reach the top levels. @DeborahMersino – Has anyone read “Your Child’s Strengths” by @jeniferfox? http://www.strengthsmovement.com/ Powerful approach – all levels. @MatthiasHeil, teacher (English and Religious Education) and teacher trainer (Media, Methods) from Fulda, Germany. What should be the first two problems addressed in order to begin educational reform? 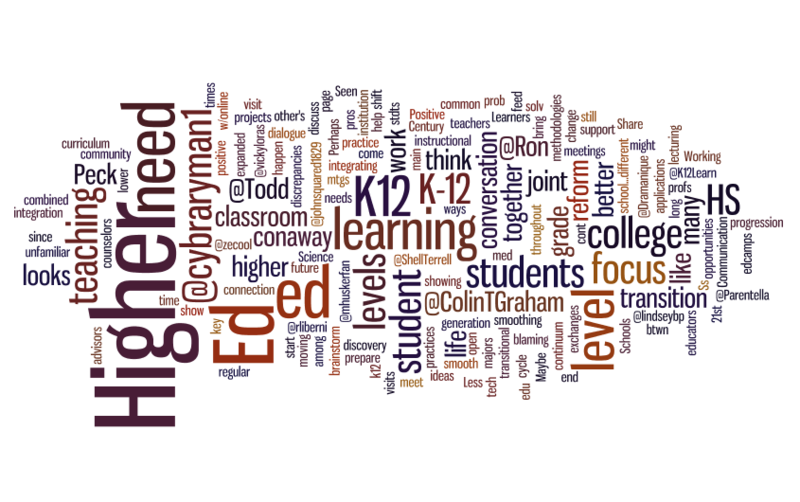 Our thanks go to Colin Graham (@ColinTGraham) for this week’s #edchat summary. It is a very frank and honest resume of his thoughts on both the topic and the progress of the discussion. He invites comment and it will be interesting to see how other edchat participants react to his point of view. Colin is a regular and enthusiastic edchatter and his committment to education is very clear (see his bio at the end of the post). It is a great post and I hope it will spark some further discussion. @StarrMatica: I agree with @johnccarver 1. Vision/Plan 2. Buy In from Staff, Parents and Community. Parental support is critical. @hshawjr: We need to know the mission of K-12 education and empower educators (its practictioners) to be active in the direction it goes. @sguditus: Problems with education reform: 1. Pace of change 2. [lack of] Buy-in from all members (staff, parents, community, admin, kids!). 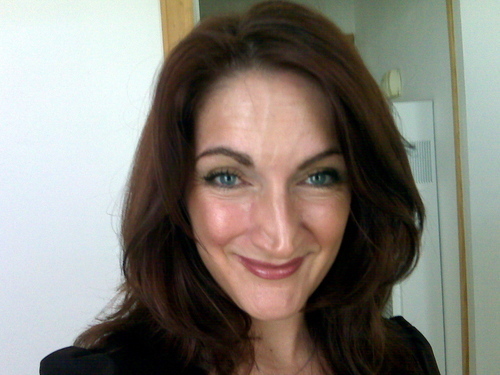 @Parentella: One of the 1st problems we need to deal with is the mindset of the school staff. They have to be prepared to embrace the changes. @smitha834: Sir Ken’s point is valid but we still have parents that want blue grammar books & math drills. @malcolmbellamy I agree with the mindset problem there is a need to breakthrough or go backwards! @ShellTerrell: One of the main problems is who leads education reform! Educators need to take the lead vs. politicians. @21stcenturychem: We really need to decide what our goal as educators is: to help students learn, or to train complacent worker bees. @phsprincipal: We have to get to the point where we have definable and actionable goals. @PTPIPaige: Education should focus more on [learning about] world cultures, language proficiency and community service (i.e. citizenship!). @billgx: Worker bees are highly valued in our society, but they do not create, invent, etc. 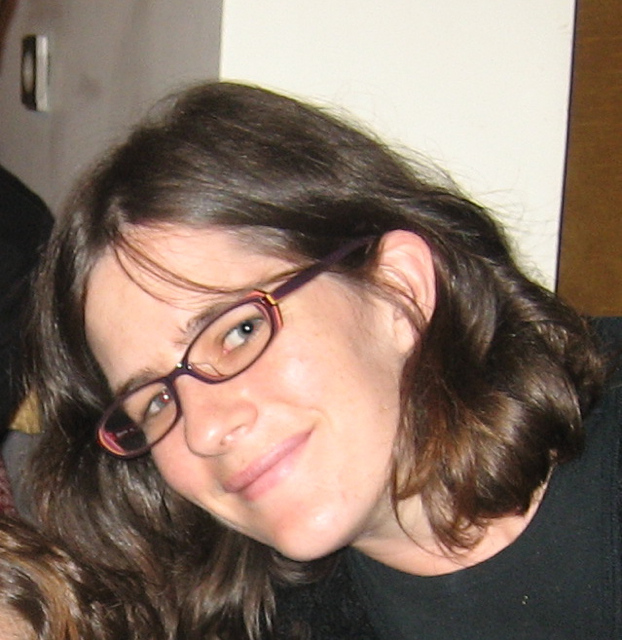 @drtimony: Education reform will only happ with [money]. Standards for teachers and administrator quality have decreased because of need. This is a bad move. It will be a long recovery from that. @CrudBasher: As long as schools are essentially extensions of politics, there is little hope of reform or transformation. @samchaltain: In the spirit of educational renewal (not reform), Finland has some useful lessons to offer us. @mrdfleming: The subject is overwhelming for one teacher. It needs to be narrowed. How can you effect change in your school, or school district? @L_Hilt: We need more involvement from actual educators in political roles. Government influence isn’t disappearing… we need to be in it. @Parentella: I hate to suggest this, but perhaps it’s easier to “talk” about changes than actually stepping up and following through. @briwcarter: Stop trying to convince people, and move forward with those on board. @tomwhitby: In order to change education, we need to change the culture. That cannot be done behind closed doors. Engagement with parents is key! @RushaSams: In schools where powerful reform is happening, the changes come from within, by the teachers individually and collectively. @altucker: Parents have to start showing some anger about what’s being done to their children – teachers’ voices are not going to be enough! 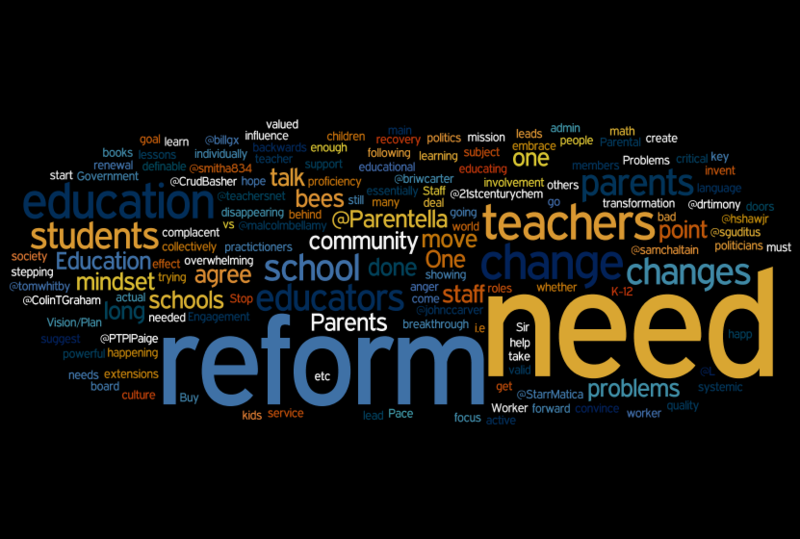 @teachersnet: How many teachers believe it is others who need to reform, that they are already doing what students need? @ColinTGraham: When we talk about reform, we need to be clear about whether it is a systemic reform or an attitudinal reform which is needed. Colin Graham spent eight years as a statistician and computer programmer before deciding he preferred working with people rather than machines. After retraining as teacher of Secondary Mathematics (11 -19 years old) in the UK, he taught a wide variety of students across all levels of ability, from basic skills to advanced level statistics, including IT when it was still 1.0 (actually more like 0.5!). 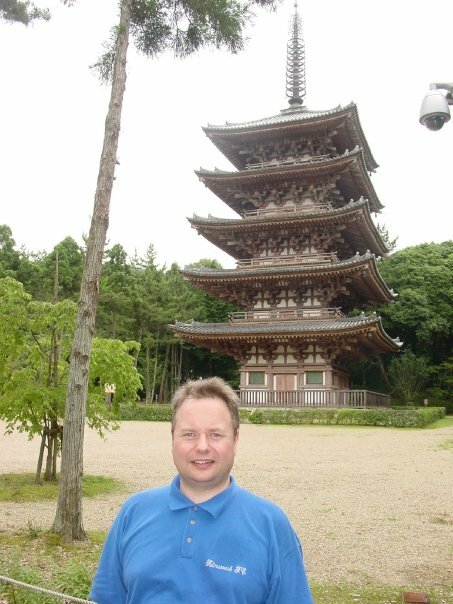 His exposure to ESOL students helped convince him that the language used in teaching is almost as important as the subject being taught, and he diverted his career towards teaching English as a Foreign Language – in Japan, for eleven years! In Japan, he became involved with teacher development and, in his spare time, participated in missions to developing countries to help with teacher training. Having recently returned to the UK, he is continuing his research into the impact of the use of language on learning, particularly in Mathematics. He is about to complete an M. Ed. in Applied Linguistics, before moving on to a Masters in Mathematics Education. He believes strongly that the best student is one that takes responsibility for their own learning. Labelled by his friends and colleagues as a ‘perpetual student’, he takes this as a great compliment. He adores music and loves singing, composing and arranging. He’s probably most known by current Tweeps for being (deliberately) provocative, having a quirky sense of humour, being Scottish, poking his nose into #musedchat and kick-starting #mathchat. He’d also like to think that he’s helped from time to time, too!